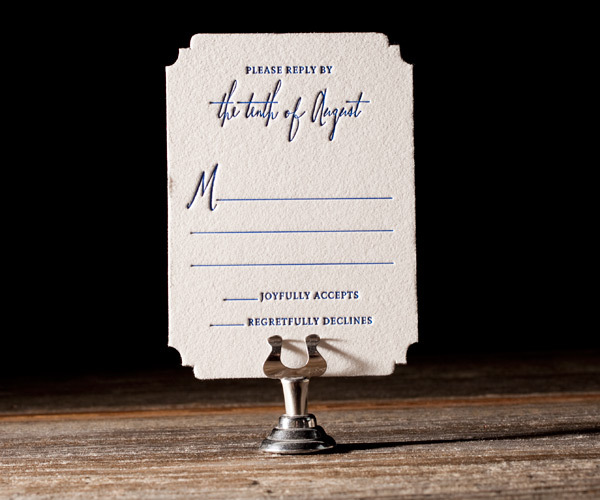 At first sight the Anderson design from Bella Figura became one of my favorite wedding invitations. My favorite designs come and go with the seasons, but this one has held strong! Is it because we share a name? 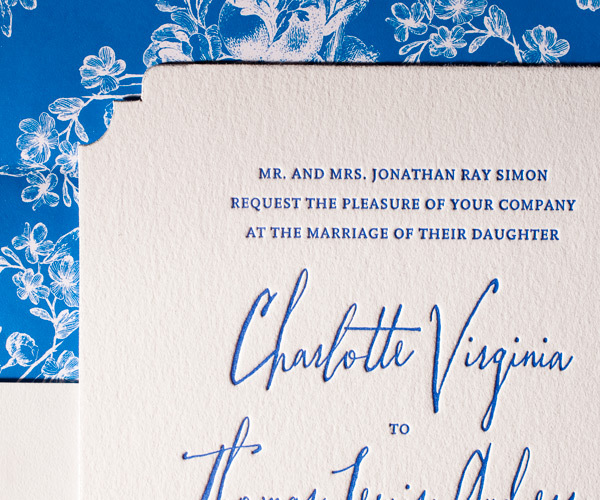 Possibly… To be honest I am not usually a huge fan of blues, but I LOVE this cobalt hue, especially the bold statement it makes as a floral envelope liner. 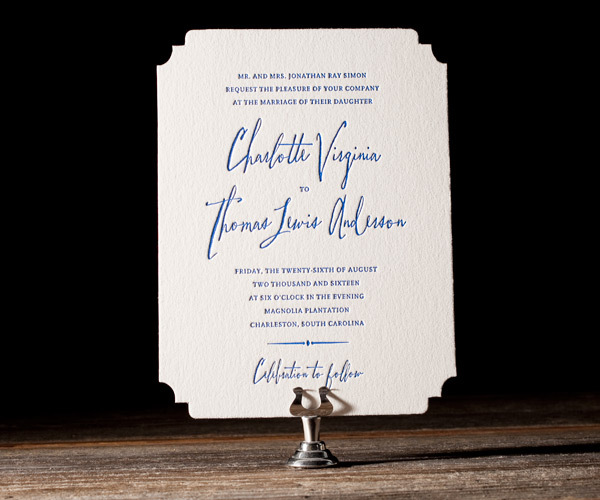 The die-cut shape adds just the right amount of sophistication to offset the whimsical calligraphy font. 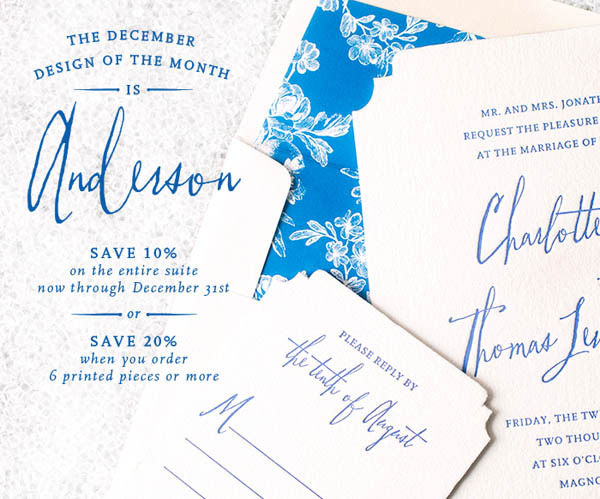 Because of my love affair with Anderson, I was ecstatic to see it is Bella Figura’s Design of the Month! 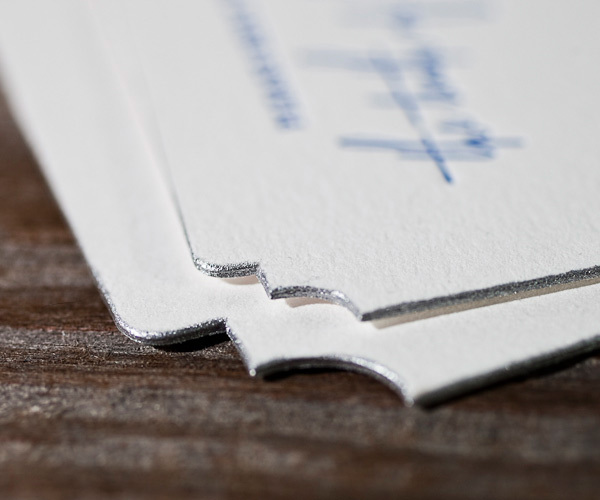 Throughout the month of December save 10% on the entire letterpress suite, or 20% if you order six or more printed pieces. I can’t wait for one of our brides to choose Anderson and customize away!